There are always restaurants you want to try and for whatever reasons never seem to get to. Such is the case with Gaskins, a local (if a 40 minute drive counts as local) place that opened about a year ago. It’s owned and run by Sarah and Nick, two refugees from some major Manhattan eateries. They’ve settled in Germantown and opened a casual “gathering place” featuring some great-sounding dishes, mostly sourced from local farms. The Accidental Locavore says “great-sounding dishes” because the evening I was there was for the second annual Spring Social and Crawfish Boil put on by the Hudson River Exchange, a local arts group, which featured only one item on the regular menu (more about that one thing later). 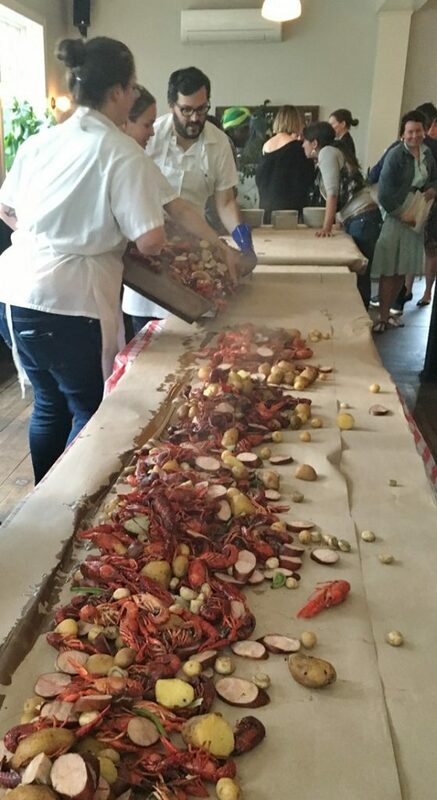 Instead, all the tables in the place were laid out end-to-end and covered with kraft paper. 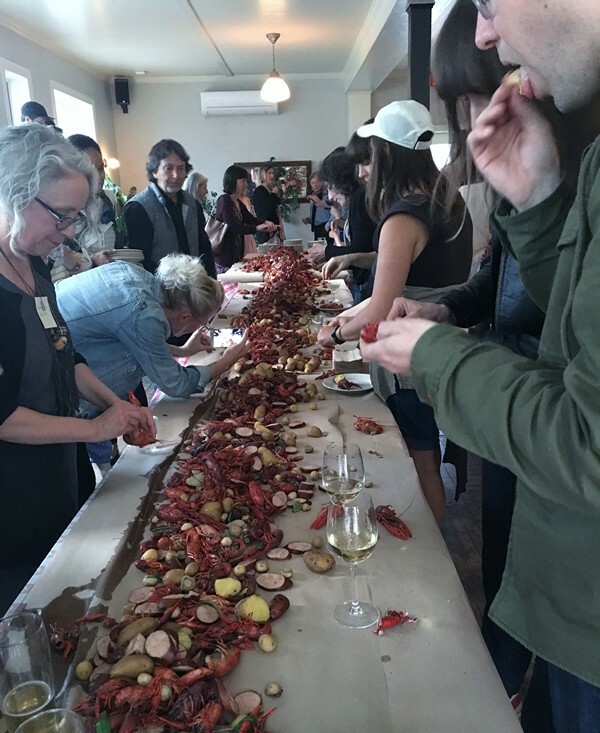 After drinks (including a mango-mint daiquiri that will make you rethink daiquiris and find a designated driver) they poured 100 pounds of crawfish along with potatoes, smoked kielbasa, ramps, scallions and fiddleheads along the length of the table. 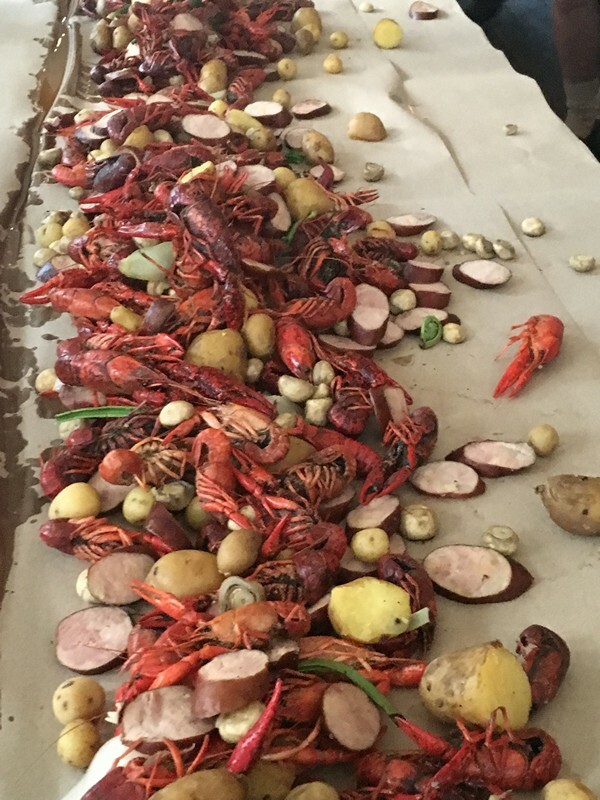 Sarah gave us a quick demo on how to properly eat the crawfish and suggested that there was pride to be taken in having the biggest pile of empty shells, so we all eagerly set to work. 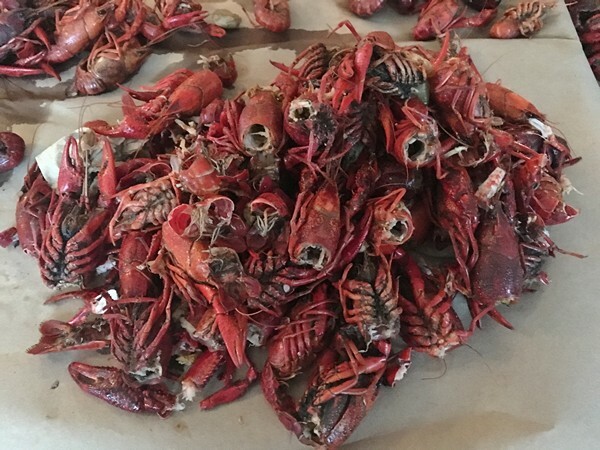 It’s been a long time since I’ve had crawfish and these were delicious! If you’re not familiar with them, they look and taste like little lobsters, but are probably much healthier as melted butter does not have to be involved. Fiddleheads (the tiny beginnings of ferns) are another spring treat I hadn’t had in ages. They were so good that the next time I come across them, I’m taking advantage of their short season! The kielbasa, which somehow wasn’t at my end of the table, was well worth the stroll to the other end. In other words, everything was great! If you didn’t save room for dessert—your loss! That’s the one thing that we had that is a menu item and totally worth saving some space for (trust me, you won’t want to share). Nick’s chocolate ice cream is one of the great ones! Creamy and richly chocolate it’s almost worth going to Gaskins just for that! 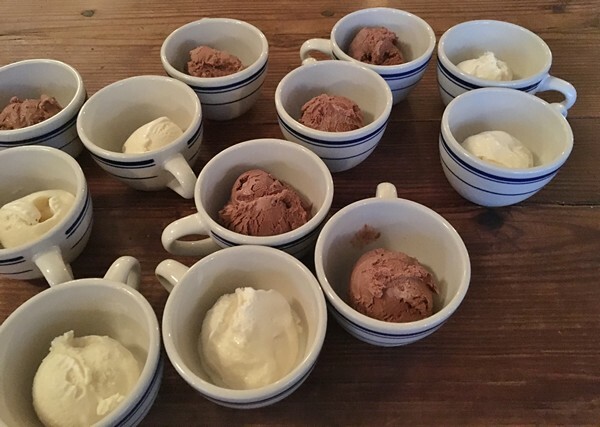 The other ice cream, a sweet cream one, was almost as good—buttery and silky smooth, but for me, the chocolate was all I needed. We’ll have to meet there some evening! Looks like a real treat of a dinner! And the mango mint daiquiri sounds very tempting.